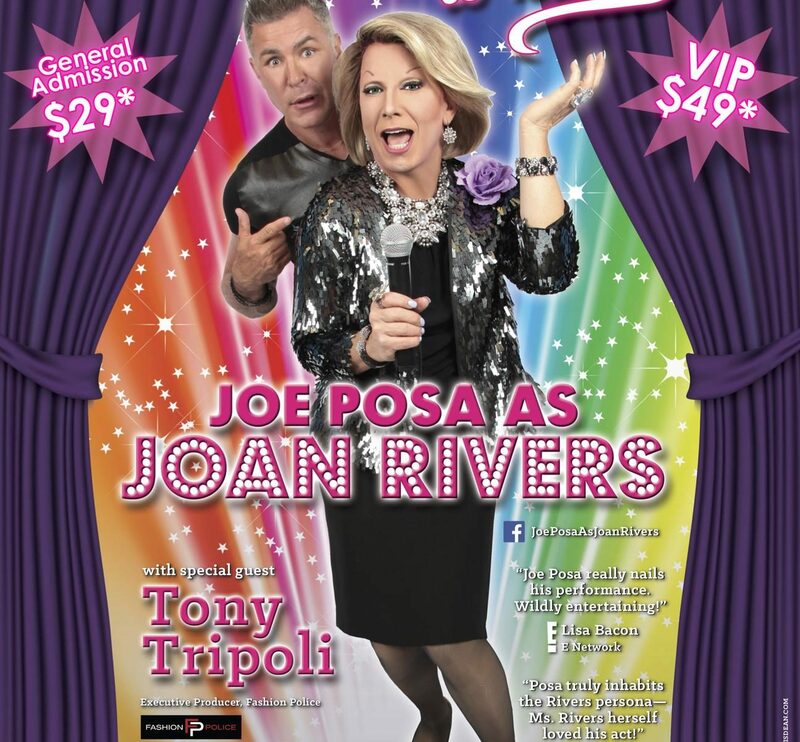 The show begins with Phoenix native, Tony Tripoli sharing his shocking memories of working for Ms. Rivers: The trouble they got into, the joke that E! refused to air, and how outrageous she was – both offstage and on. 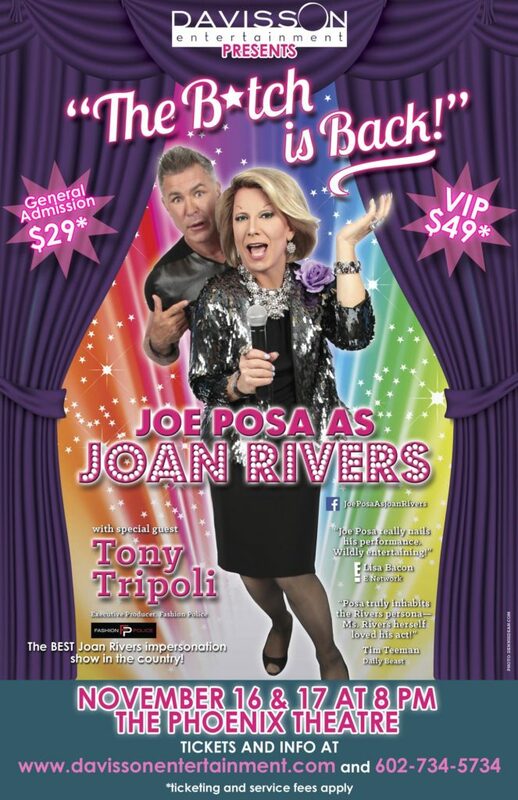 Then Tony passes the baton to Joe Posa, Joan’s FAVORITE Joan impersonator, who brilliantly recreates the comedy legend’s look, mannerisms and signature frenetic energy. 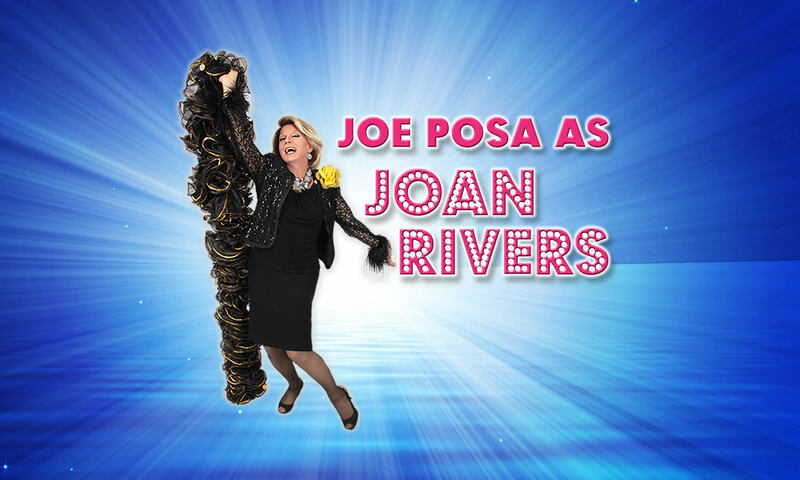 Posa does an hour of Joan’s actual act, and you’ll laugh so hard you’ll swear Joan is back for one last performance. Seeing is believing!